Make a difference by helping Vermont individuals & families with their housing needs. Join the professional team at the Vermont State Housing Authority, a statewide affordable housing provider. Position open for an organized, reliable individual to perform a variety of administrative & technical support to the overall day-to-day program division operations. Position is office based in Montpelier & involves telephone communication & public contact work. Must be able to multi-task & work in a fast-paced environment, independently or as part of a team. $17.41 / hour with benefits. Cover letter & resume to HR, VSHA, One Prospect Street, Montpelier, VT 05602-3556. VSHA is an Equal Opportunity Employer. Vermont State Housing Authority, statewide affordable housing provider needs a professional, reliable individual to supervise application processing, verifications, filling vacancies, recertification’s, etc. & associated staff; management & site operations for residential properties; monitoring & compliance requirements; & reasonable accommodation/modification requests. Must be able to work in a fast-paced environment, have excellent organizational, time management, strong interpersonal & supervisory skills. Bachelor’s degree + minimum 5 years, increasingly responsible experience in property management in the public, nonprofit or private housing field, including experience in collections; regulatory compliance, lease enforcement & supervision. 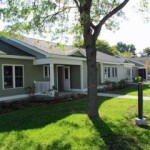 Affordable housing experience in USDA Rural Development, U.S. Department of Housing & Urban Development & Low Income Housing Tax Credits programs preferred. Full time position based in Montpelier. Cover letter & resume to: HR, VSHA, 1 Prospect St., Montpelier, VT 05602-3556; or contact@nullvsha.org. VSHA is an Equal Opportunity Employer. Vermont State Housing Authority, statewide affordable housing provider, is looking for a professional, reliable manager to handle the day-to-day management & site operations for a mobile home park portfolio. Individual must be able to work in a fast-paced environment, have excellent organizational, time management & strong interpersonal skills, & be able to assess and resolve complex situations. Bachelor’s degree + minimum 3 years hands-on experience in property management in the public, nonprofit or private housing field, including experience in collections; supervisory experience is preferred. Full-time position is based in Montpelier, VT. Cover letter & resume to: HR, VSHA, 1 Prospect St., Montpelier, VT 05602-3556; or contact@nullvsha.org. VSHA is an Equal Opportunity Employer. In anticipation of a funding award in late June, the Vermont State Housing Authority is taking applications for a professional individual to handle all field operations for Section 8/McKinney funded housing rental programs in Windham County. Work with clients, landlords, community organizations; mediate issues; administer & enforce contracts with property owners; perform annual reexaminations of tenants & inspections of units under the program. Individual will be home-based & must reside in Windham County. Extensive driving required. Cover letter and resume to: HR, VSHA, 1 Prospect St., Montpelier, VT 05602-3556. VSHA is an Equal Opportunity Employer.